2c. Jamestown Settlement and the "Starving Time"
Jamestown, Virginia, was the site of the first permanent English settlement in the Americas. The settlers chose a location close to the water, hoping to establish a thriving community. The first joint-stock company to launch a lasting venture to the New World was the Virginia Company of London. The investors had one goal in mind: gold. They hoped to repeat the success of Spaniards who found gold in South America. In 1607, 144 English men and boys established the Jamestown colony, named after King James I. 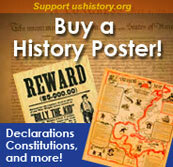 The colonists were told that if they did not generate any wealth, financial support for their efforts would end. Many of the men spent their days vainly searching for gold. As a consequence, the colonists spent little time farming. Food supplies dwindled. Malaria and the harsh winter besieged the colonists, as well. After the first year, only 38 of the original 144 had survived. James, by the grace of God [King of England, Scotland, France, and Ireland, Defender of the Faith], etc. The colony may well have perished had it not been for the leadership of John Smith. He imposed strict discipline on the colonists. "Work or starve" was his motto, and each colonist was required to spend four hours per day farming. The twenty of April. Being at work, in hewing down Trees, and setting Corn, an alarum caused us with all speed to take our arms, each expecting a new assault of the Savages: but understanding it a Boat under sail, our doubts were presently satisfied with the happy sight of Master Nelson, his many perils of extreme storms and tempests, his ship well as his company could testify, his care in sparing our provision was well: but the providence thereof, as also of our stones, Hatchets and other tools (only ours excepted) which of all the rest was most necessary: which might inforce us to thinke either a seditious traitor to our action, or a most unconscionable deceiver of our treasures. An early advocate of tough love, John Smith is remembered for his strict leadership and for saving the settlement from starvation. An accidental gunpowder burn forced Smith to return to England in 1609. After his departure, the colony endured even more hardships. A new boatload of colonists and supplies sank off the coast of Bermuda on its way to help the hungry settlement. The winter of 1609-10, known as the "starving time," may have been the worst of all. Disease and hunger ravaged Jamestown. Two desperate colonists were tied to posts and left to starve as punishment for raiding the colonies' stores. One colonist even took to cannibalism, eating his own wife. The fate of the venture was precarious. Yet still more colonists arrived, and their numbers included women. Pictured are the three ships that brought the original settlers to Jamestown in 1607: the Susan Constant, the Godspeed, and the Discovery. Despite the introduction of tobacco cultivation, the colony was a failure as a financial venture. The king declared the Virginia Company bankrupt in 1624. About 200,000 pounds were lost among the investors. The charter was thereby revoked, and Virginia became a royal colony, the first in America to be ruled by the Crown. Investments in permanent settlements were risky indeed. The merchants and gentry paid with their pocketbooks. Many colonists paid with their lives. For every six colonists who ventured across the Atlantic, only one survived. 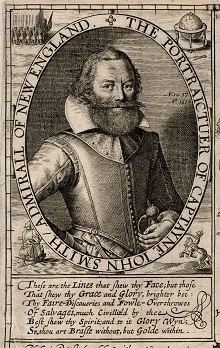 There was much more to John Smith than "Work or starve," as this SeaCoastNH website explains. Not only was Smith involved in the Virginia settlement, he also had a hand in the settlement of New England. A variety of links, pictures, and essays detail the many roles John Smith played in the development of the American colonies. John Smith may have saved the settlers of Jamestown from starving to death, but he wasn't exactly everyone's favorite person. Why did his fellow settlers try to kill him a few times before they eventually kicked him out of the colony? 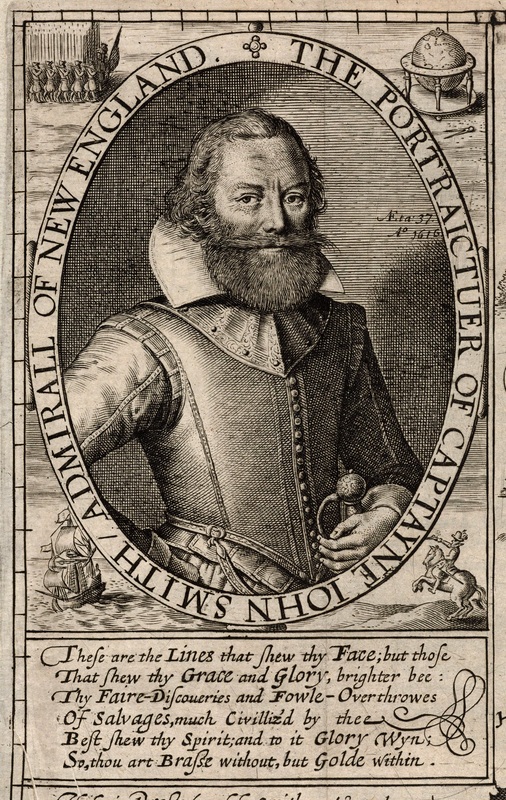 Find out from this essay about Captain John Smith from the Colonial Williamsburg Foundation. The Jamestowne Society, an organization open to descendants of Jamestown colonizers, strives to educate and inform people about Jamestown and its settlers. The society's website offers well-organized information on the settlement, including its history, people, charters, survival, and fashion. For fun, try out the Jamestown history quiz at the bottom of the homepage. Take this virtual tour of the Jamestown settlement. 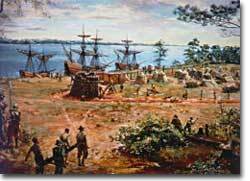 The tour begins on May 14, 1607, the day Jamestown was established. This brief journey offers pictures and explanations of important events in the development of the first English settlement in the New World. 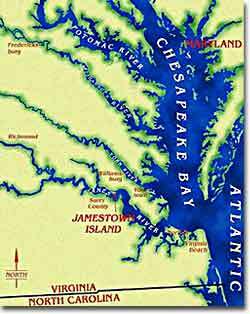 The settlement of Jamestown and the colony of Virginia did not come easily. King James I and members of the Virginia Company of London both set specific instructions and guidelines for settlement. Many of these documents, including the original charters for Virginia, are available with explanations at this independent website. In 1619, the first Africans arrived in America. Jamestown, Virginia, welcomed 19 indentured servants at this time, marking the beginning of a long and abhorrent tradition of servitude. This PBS website offers a brief look at the Jamestown settlement and examines the role African Americans played in the Virginia colony from its early years. Although women were not among the first settlers to arrive in Jamestown in 1607, it was only a year later that they began to help establish the colony. Filling both traditional and nontraditional roles, women were vital in the settlement of Jamestown. This National Park Service website examines the role of women in Jamestown and includes a brief look at Pocahontas, Temperance Flowerdew, and Anne Burras. This webpage lists all the original settlers of Jamestown. Do you recognize any names on the list? How did the first settlers view Jamestown and the surrounding areas? These early maps from the period offer a clue.